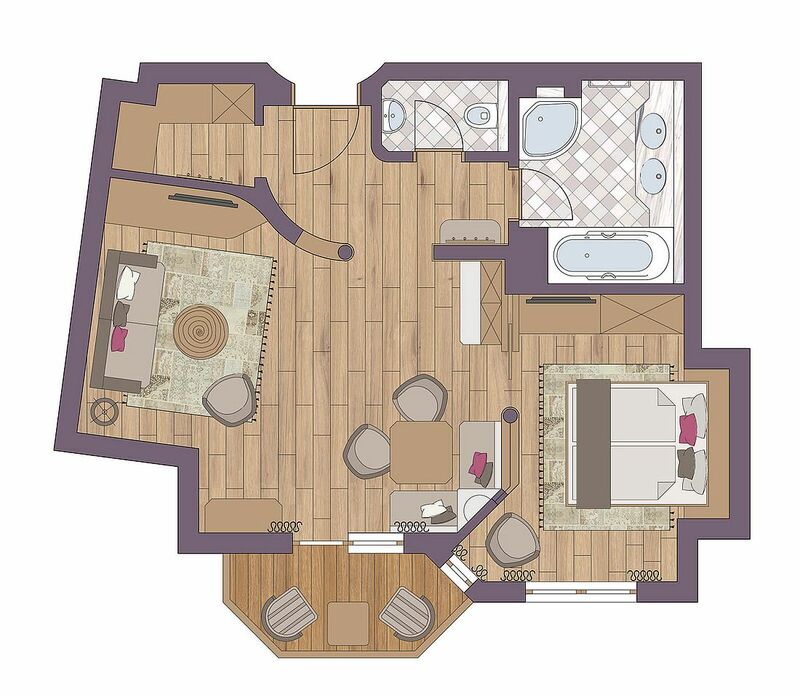 The senior suite in the BelArosa is located on the attic floor of our hotel. 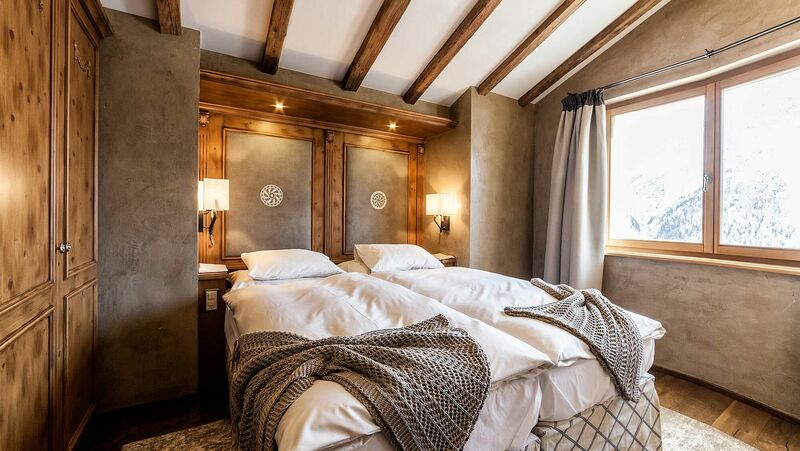 The sloping roof with wooden cladding gives the suite a welcoming, charming atmosphere. The room has its own kitchen, two TVs and many other amenities such as the breath-taking view over the mountains of Arosa from your own balcony. Book our senior suite in the centre of Arosa directly here.